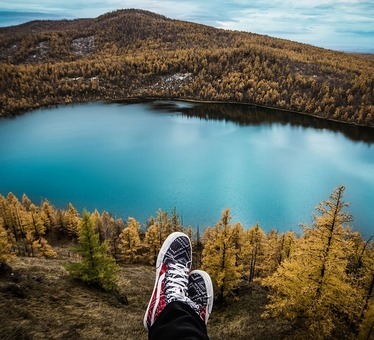 If you ever think of visiting China and imagine you might get a variety of new culinary experiences, like one of your last trips then think again. China is widely known for bringing all insects, reptiles & animals into its kitchen, no matter its poisonous or edible. 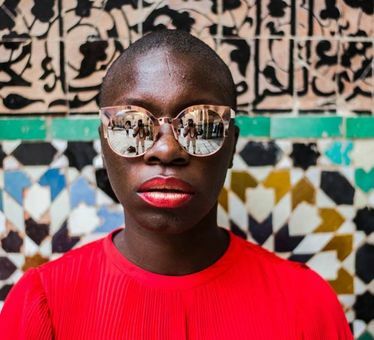 Though their dishes on streets might look delicious you might be astonished and shocked to know about their key ingredients. Well to make your journey a happy and positively memorable one, here are 6 evil foods you should avoid in Beijing. 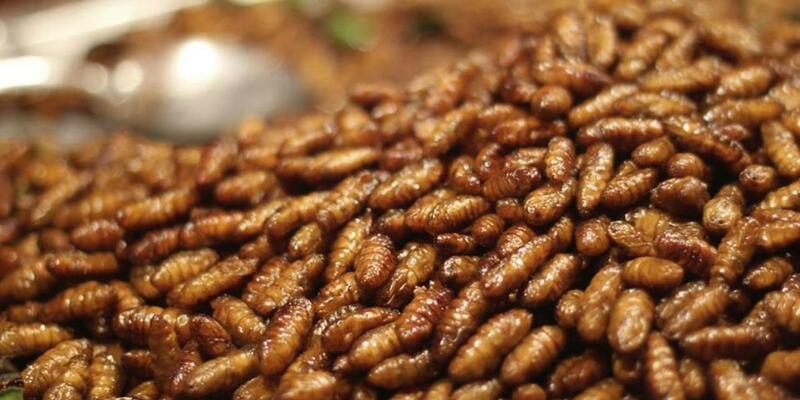 You really don’t want to eat that - A plate full of giant Larvae. This is something that you will find in most parts of China as a street delicacy. 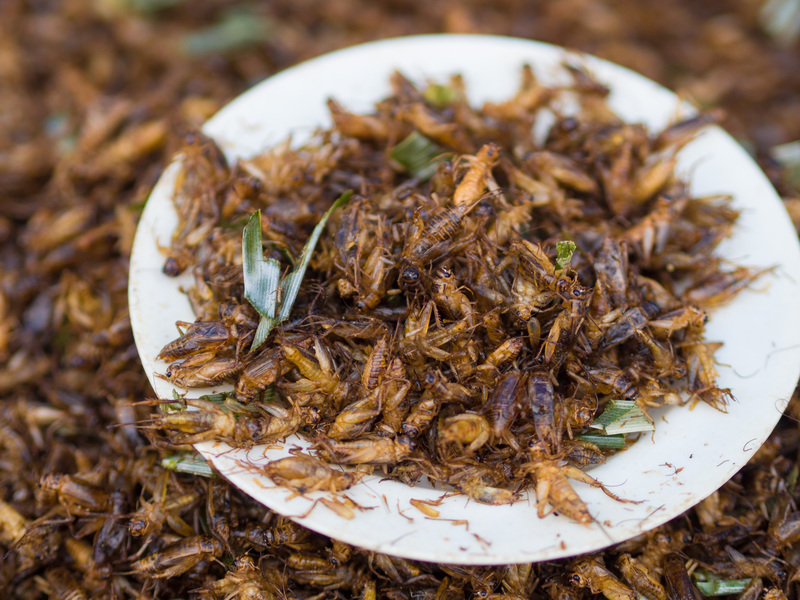 Though Chinese people love it, someone from any other continent may simply get a gross feeling just by looking at these ugly moving creamy insects. The worst part is when it goes into your mouth, and you think of chewing, it pops and explodes with all that creamy tasteless vicious substance. And it’s always too late when you think of spitting it out. The two common edible wasp species are the giant hornet, and digger wasp or hornet. Nests in the forest are collected during June, using meat as bait. Once a wasp is sighted, it is tracked to its nest, which is then brought back to the village after sedating the occupants. 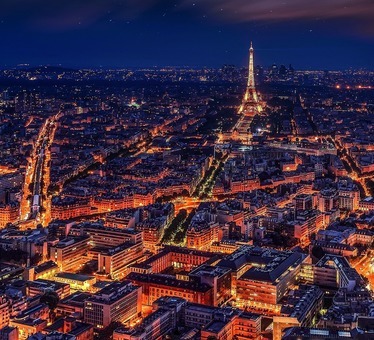 Harvesting occurs at night when wasps are less active. Smoke is used to sedate the insects inside and outside the nest. After the nest is retrieved, aggressive wasps are dispatched. It is not possible to estimate the size of the nest before uncovering it. 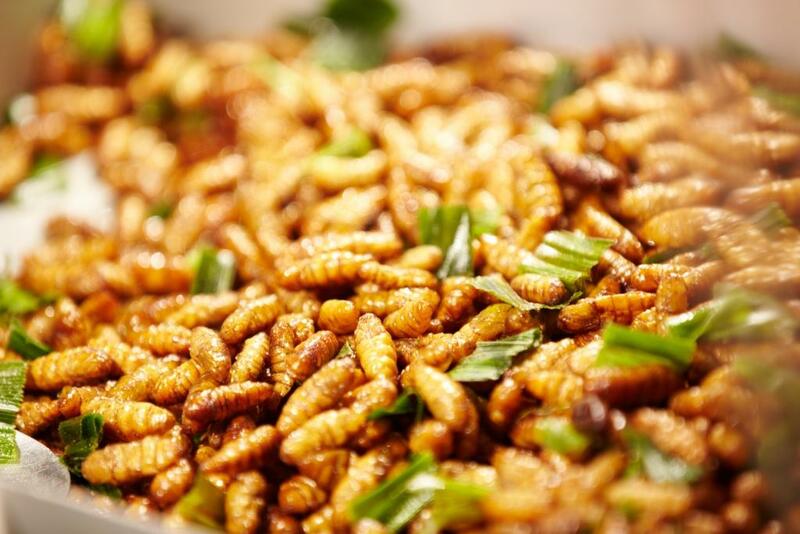 After collection, the best wasp larvae are selected for retail, typically about 3 kilograms of the best larvae are sold, fetching about 120 Chinese Yuan. The remainder is directly consumed by villagers. Sir! The next item on the menu is a delicious crunchy scorpion dipped in vinegar. 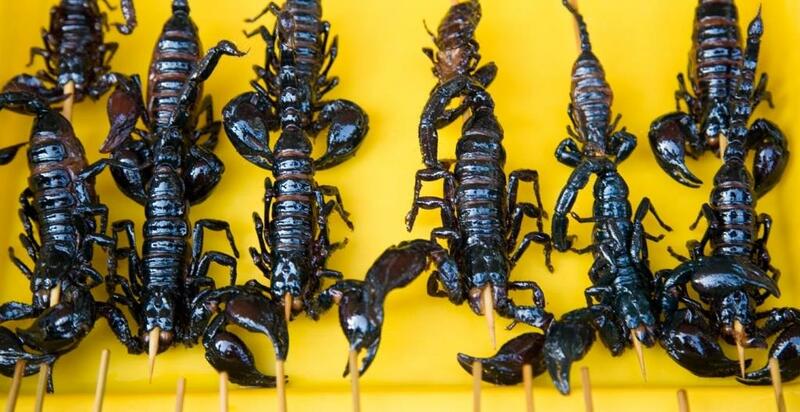 At Donghuamen Snack night market located at the northern entrance of Wangfujing Street, you may witness some black deep fried scorpions on sticks. These are really good if you ask any Chinese guy, but just by looking or touching it, you may get horrified if not disgusted. How do scorpions taste like? Well, they are actually quite delicious, with a crunchy and potato chip like taste if you could just let go of that monstrous look of it. Also, they are very healthy and enriched with proteins. The sting of a scorpion is removed before it is prepared as it can be poisonous. In China as per Chinese tradition, eating the tail will make you and your manhood strong. I bet you have never thought that beetles could ever be eaten, did you? At Hao Yun Jie (Good Luck Street) in Beijing, the street is full of exotic delicacies. These black fried beetles are one of them. Deep fried in soybean oil and sprinkled with some local spices, it can be mouth-watering for them, but definitely a big NO for you. These scarab beetles are not any ordinary beetles that come to your verandah during monsoons, instead they are collected from the remote villages in China. 2 different species of the beetle is collected. The brown ones live in the soil near plant roots while the black ones on the trees. Collectors search around small trees during daytime, digging down carefully to a depth of approximately 20 to 30 centimeters with the help of a small spades and may get around 2-3 insects and up to 15 if they are lucky. During the nights, they use the technique of shaking the branches of a tree or entire trees if they are small. A large plastic sheet may be placed on the ground to catch the beetles as they fall. Trust me, there could be nothing eviler than these stinky vicious bugs. They are so smelly and stinky (before fried) that you might even vomit meters away before even having a look. The fluid secreted by stink bugs is a defence chemical which colours the hands yellow and leaves a strong smell. Therefore, people usually cover their hands with plastic bags or plastic gloves before putting them in pans. A major street food market in Shanghai is Fangbang Xi Lu, which is located in old town section of Shanghai and is widely popular between tourists and locals for its delicious and ugly street foods like Stink bugs. Stink bugs are often found around the leaves, and sometimes on the trunks or branches and are collected during the hottest time of the year (March to May). A long bamboo stick with glue attached at the end, similar to that used for collecting cicadas, is also employed in collecting adult stink bugs.A long bamboo stick with a net attached is used. It takes a few seconds for the stink bugs to become active again, so they need to be handpicked quickly. Yes, we are talking about the same cricket that you often see around the corners of your house, mostly in rainy seasons. Eeewww, Right? Well yes, it may be disgusting to imagine swallowing something of that sort but to your imaginations, this is the most common street food of this category. Served as fried and stir-fried with a variety of soya sauce and vinegar to the ones who like it. The best part for some is that they don’t need to go to the market to buy this as they can find some in and around their house itself. Although crickets can be found and collected in the wild, by far the most common source is by collecting these from fields by using a small spades, digging carefully into the soil at a depth of 30-50 cm. Between September to December, it is very common to find them in some restaurants and bars in Shanghai. As the name says, it’s an egg of a previous century. 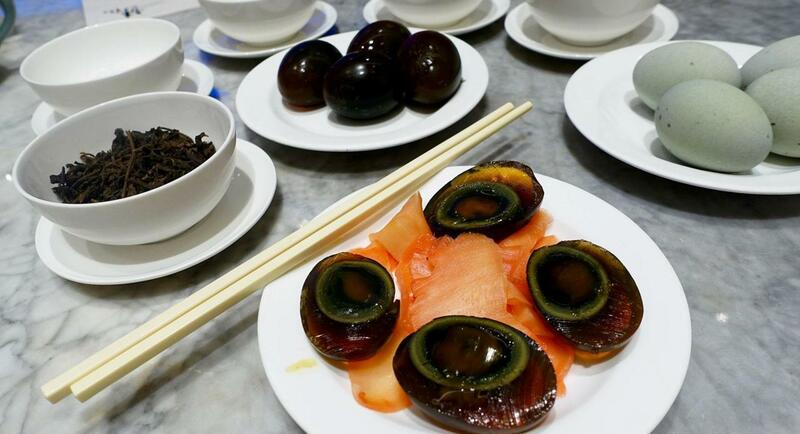 Century egg or Pidan is commonly known as preserved egg or black egg. With the time and being preserved in clay, wood ash salt, quicklime for several weeks and months, its outer shell colour turns from reddish brown to black and the yolk turns to dark green. Generally, these eggs have been around since the Ming dynasty and are made from duck eggs which have a very pungent odd smell that comes from the ammonia they are coated in. Century eggs are considered a delicacy in China & Vietnam and are served during festivals, celebrations or any special meal. Either its Wangfujing Street or Jianguomenwai Avenue, you will find century eggs at almost every place and all restaurants. So the next time you hit Shanghai, make sure you use Google translator to get more information about your food and don’t just get fascinated by the presentation. Though Beijing has a lot of other good stuff to offer, don’t have a misconception about the Chinese food..!